As we roll into the New Year, we look forward to all sorts of new challenges and agendas. One major way the Firearms Industry does this is through the gigantic "meet & greet" known as SHOT Show. This mega trade show, though only open to Firearms Industry Manufacturers, Distributors, FFL Dealers, Manufacturer’s Representatives, Media and NSSF (National Shooting Sports Foundation) members, is still one of the nation’s largest trade shows and a major marketing kick-off for the new year. It will be held next week at the Sands Expo in Las Vegas again. If you’ll be attending, please stop at Booth #10376 to see our new rifles, or just to say hello! We look forward to seeing you! Of interest to our Maine friends, shooters and customers is that Windham Weaponry will be donating an Electroless Nickel/Pepper VEX Rifle to the Maine Professional Guides Association (MPGA) for their April 8th Banquet and Auction. The MPGA is an organization of approximately 1200 Registered Maine Guides with the purpose of protecting our State’s long standing heritage of fishing, hunting,and recreation in the outdoors, as well as ensuring professional and ethical business practices within the Guiding industry. See their website at www.maineguides.org for more information on bidding for this rifle and other auction packages. It won’t be long before Spring Varmint Hunting Season comes around, and we have the perfect "do-all" rifle for that – our .300 Blackout. Accuracy, reliability, long range, light weight and perfect balance – this rifle has it all. See details below in this month’s Feature Gun. Or, call us for a free catalog (1-855-808-1888) – we’d love to hear from you. With a 3/16" T-Handle Allen Wrench, remove the pistol grip screw and washer. Note: Our .308 rifles have two springs that the grip holds in. Along with the safety detent spring, the spring for that holds tension against the detent for the takedown pin is also in this area. The difference being that the spring is smaller than the safety detent spring and is inserted in the hole in the receiver, there is no hole in the grip for this spring. Keep in mind that there is a detent in that hole that you don’t want to lose. Also when installing the pistol grip make sure you are careful to compress that spring straight down and not to let it bend out between the receiver and the pistol grip. As a reminder, all of our accessory items can be installed here at the factory if you don’t want to attempt installations on your own. There is no labor charge for these installations. You pay only for the part and for shipping the rifle or receiver to Windham Weaponry and back. Just call Windham Weaponry Customer Service at 1-855-808-1888 to set it up. Your dealer may have removed it when unpacking the rifle. You can request a replacement by calling us toll free at 1-855-808-1888 or email us at information@windhamweaponry.com with your name, address and serial number of the rifle. We will mail out a replacement for you. Windham Weaponry has developed this quality, Mil Std 1913 railed, M-LOK compatible forend for our standard aluminum receiver rifles (we also offer a version for our Carbon Fiber receiver rifles). These are 100% CNC machined from American made 6063 aluminum extrusions to exacting tolerances, then hard coat black anodized to Mil SPEC 8625. They are machined for maximum weight reduction while retaining rigidity and strength, and the top Picatinny rail is manufactured to MIL STD 1913. The M-LOK system mounting points are manufactured to Magpul mechanical specifications to ensure perfect fit with all Magpul accessories. Built-in Q.D. Sling Swivel pockets at 3:00 & 9:00 forward positions on the hand guard offer convenient mounting for your sling of choice. The American made Barrel Nut is 100% CNC machined of 4140 pre heat-treated steel (28 to 32 Rockwell hardness), drilled for weight reduction, and black nitrite finished (a QPQ corrosion resistant finish). These handguards feature the Windham Weaponry logo engraved into side panels. Available in 7 inch, 13 inch and 15 inch in lengths. Hard to believe that we are into 2017! So you all know what that means? I will be attending SHOT Show again this year from January 15th to January 21st. We’ll be in Booth # 10376, so please come by and check out the NEW additions to the Windham Weaponry line. We are also very excited about our brand new website that will up and running very soon. So please be sure to check it out and let us know what you think. For some Departments and Agencies out there with the New Year comes new money. Please keep in mind if you have rifles, AR15/M16, that are in need of repair we have ALL the parts you would need to make them like new again. 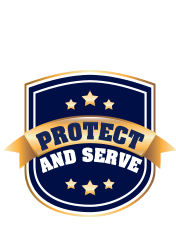 We have deep discounts for Law Enforcement Departments and Agencies, so please reach out to Cindy or me for pricing. Also if your department would like us to do the work, just let us know. If you buy the replacement parts and accessories from us we will do the work for you for FREE. You would pay to ship the rifles to us and back but there would be NO CHARGE for us to make the changes/repairs to your rifles. A very Happy New Year to all of our readers! After some time away to get well, I am very happy to be back as our newsletter Editor and look forward to hearing from you as we go forward into 2017. I would like to take this opportunity to thank each and everyone one of you who sent prayers, good thoughts and well wishes my way while I was recovering. Such caring makes a huge and positive impact! 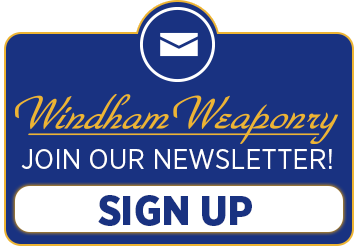 Thank you all for being a part of the Windham Weaponry family, for following and supporting us as we continue to grow, and for sharing your feedback and pictures of your own WW rifles. I invite you to continue to share your opinions, comments and personal stories about how you enjoy your WW rifle. We want to thank our friends and customers for all your support. Individual pays $260 a year and pays a $12 range fee per visit. Member’s guest pays $9. Individual pays $375 a year for unlimited range visits without paying range fees. Member’s guest pays $9. pay $275 a year for unlimited range visits without paying range fees. Member’s guest pays $9. Must present an ID for proof of service. Individual pays $75 for a 3 month membership and pays a $12 range fee per visit, guest pays $9. One Customer in Stall: $20 per day. Half hour Rate is $12 per hour. No more than 2 Customers per Stall: $20.00 per day for 1st Person. $15.00 for 2nd Person sharing Stall. Active or Retired Law Enforcement Officer, Firefighter, EMS, Military Service with ID – $15.00 per hour. …where "Training Begins at the Door."